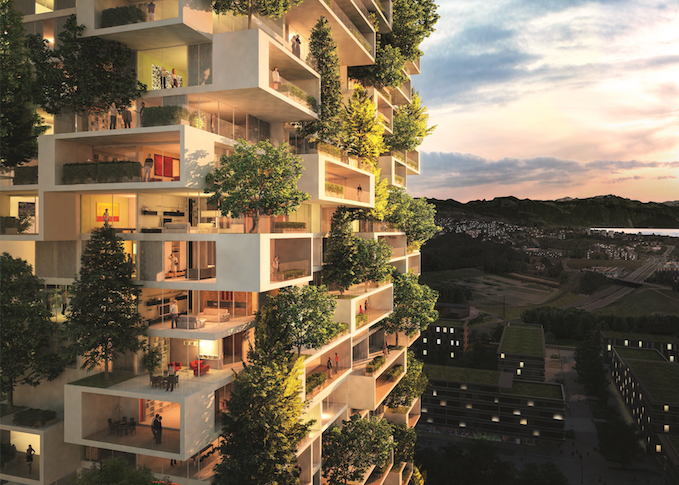 Ιτalian architect Stefano Boeri has revealed designs for a plant-covered 36-storey tower in Lausanne, Switzerland, continuing the «vertical forest» concept he trialled with a pair of towers in Milan (+ slideshow). According to Boeri, the building in the Chavannes-Près-Renens district of the city will be the first tower in the world to be covered with evergreen trees. The predominantly residential 117-metre-tall building will containapartments ranging in size from two to five bedrooms, as well as offices, a gym and a panoramic restaurant on its top floor. 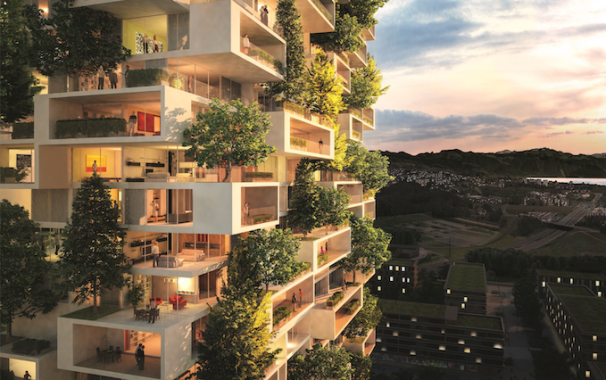 With the Tower of Cedar Trees we will have the opportunity to realise a plain building that will have a great role in the Lausanne landscape,» said Boeri in a statement. «An architecture even able to introduce a significant biodiversity of vegetal species in the middle of an important European city. Φυσικά το γυαλί πρωταγωνιστεί ως καθαρά πράσινο υλικό καθώς στα διαμερίσματα δόθηκε έμφαση στο φυσικό φως και στην επαφή με το περιβάλλον .Μεγάλα ανοίγματα με υαλοπίνακες ενεργειακούς προσφέρουν το επιθυμητό αποτέλεσμα.